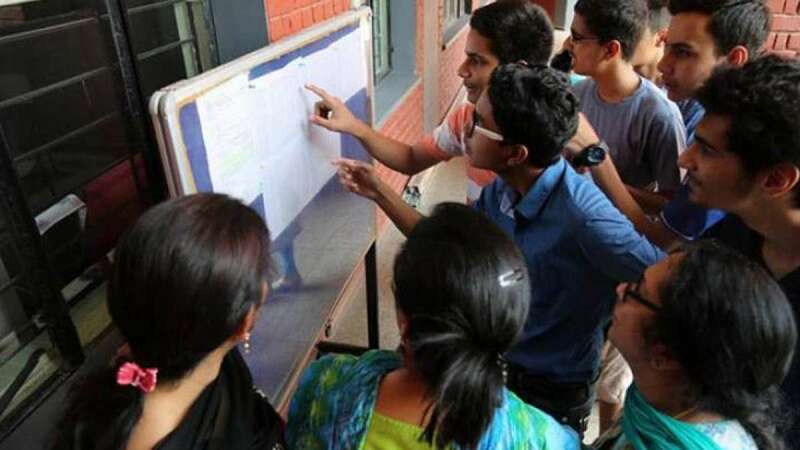 Lucknow : The Uttar Pradesh Madhyamik Shiksha Parishad (UPMSP) will be declare the UP Board Class 10th results 2019 in the third week of April. Students can check their results on the official website upresults.nic.in,upmspresults.up.nic.in and upmsp.edu.in by using their roll number and year of exam. The UP Board 10th exams 2019 were held between February 7-28, 2019. The results will mention student’s name, roll number including the marks scored in different subjects, grade etc. The Uttar Pradesh Board will open the window for rechecking or revaluation of question papers after the declaration of result. Students will have to download the scrutiny form available online, fill it and submit it along with the fee of Rs.100 per subject and an additional Rs.100 per practical paper. 1. Go to the official website – upresults.nic.in,upmspresults.up.nic.in and upmsp.edu.in. 2. Look for a link that says UP Board 10th result and click on it. 3. A new window will open. 4. Enter details like enrolment number and name. 5. Submit and you will get the result. 6. Take a print out for the future reference. This year around 58,06,922 students registered for the UP Board’s high school and intermediate examinations, including 31,95,603 for high school and 26,11,319 for intermediate exams. Last year the UP Board Class 10th result was declared on April 29, 2018. In which a total of 3655691 students appeared for the exam and the overall pass percentage was 81.18. The Board of High School and Intermediate Education Uttar Pradesh, Allahabad, commonly known as the UP Board conducts examinations for Class X and XII and is considered the highest board for high school and intermediate level examinations in Asia in terms of the number of students appearing every year. At present, there are more than 22,000 secondary schools recognized by the board and it conducts the examinations and prepares results of nearly 64 lakh students.